Tiger Woods and Justin Rose lead the final thirty players at the Tour Championship by one shot at -4 under. Some surprising finishes on the par three 18th, most notably the double bogey five by Scott Piercy. Oh by the way that double bogey five took him from the leader in the clubhouse to tied for the lead. That lead did not hold as Tiger and Justin Rose both shot 66 on day one. 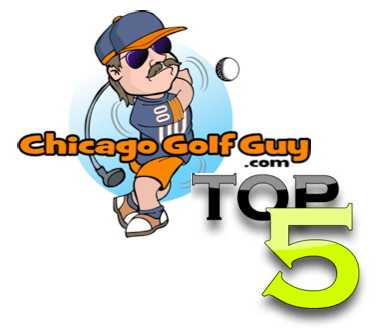 Hunter Mahan, Matt Kuchar and Steve Stricker as well as Bo Van Pelt came in at -3 under par. Mr. Kutchar killed it with the long forearm putter, making the most amount of putts distance wise (total amount of distance covered by your made putts). The Ryder Cup chip on Hunter’s shoulder may have gotten a little bit bigger now that it is so close to the Ryder Cup. I hope he can use that chip on his shoulder to elevate his game, rather than crush him. So far it has been an elevation…keep it up Hunter. The top 5, who hold their own destiny in their hands, all played well save for Nick Watney. 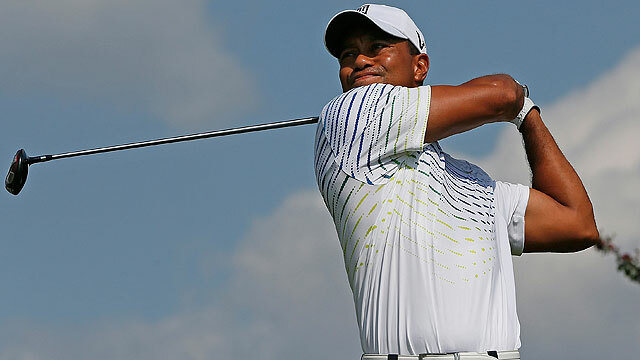 Four of the top 5 players finished under par today, with one being our first round leader Mr. Tiger Woods. Rory played well on day one and didn’t play himself out of the tournament. He is three shots back from the lead. His putter is rocking right now, and if he keeps making putts he will catch up to Mr. Woods. Phil Mickelson hit his driver all over the golf course on Thursday, but had some amazingly awesome Phil like recovery shots, and his claw putter grip is scarey good right now. Brandt Snedeker had a rough start but managed to birdie three of the last four to get it back to -1 under by the end of his round. Nick Watney like we said may have played himself out of this one with a +5 start at East Lake CC (which is good enough for 30th place right now). What should we expect on Day Two? Look out for Rors to sneak up on the leaders, Tiger will be the pace setter tomorrow, Brandt needs to feed off of his finish rather than his awful start tomorrow, and Phil needs to find a way to hit a fairway or two (imagine how good he would play from the fairway rather than the rough or the trees?). Justin Rose and Hunter Mahan are both big players to watch on Friday, as they are both striking the ball really well, both putting really well, and oh yeah tied for the lead and T3 respectively. Scott Piercy can hopefully play well again on Friday, but I am thinking flash in the pants and he has played his best golf this week. Bo Van Pelt is -3 under, playing great, and can put together another round to possibly shake up the points list this weekend. Oh, how did my pick do? Dustin Johnson played good on Thursday with a -1 under par 69. Very much in the thick of things, and on his way to make a move on day two, and finally make me a winner in my fantasy league.